Mom explained to me that this particular song reminded her of her own childhood and was so happy her daughter was learning a song from her homeland. Mom thanked me for teaching her child something so special from her culture. This moment made me feel so proud to know that I am doing a good job integrating different cultures and backgrounds into my preschoolers classroom experience. A member of our drama program was shy when she first joined our drama program. Last year was her first year of joining our program and she was given a supportive role with very few speaking parts. She started to build her confidence by the time the show was performed. During the past year, she took voice lessons with us to improve her skills. This year, she was given the lead in the drama production. Her confidence has improved so much that she went ahead and signed herself up for America’s Got Talent and will be auditioning on Monday. We do not always realize when we work with kids on a daily basis the impact we are having in their lives. While she may not be the winner of America’s Got Talent, she will always be a winner in our eyes for how much she has grown in the past two years. 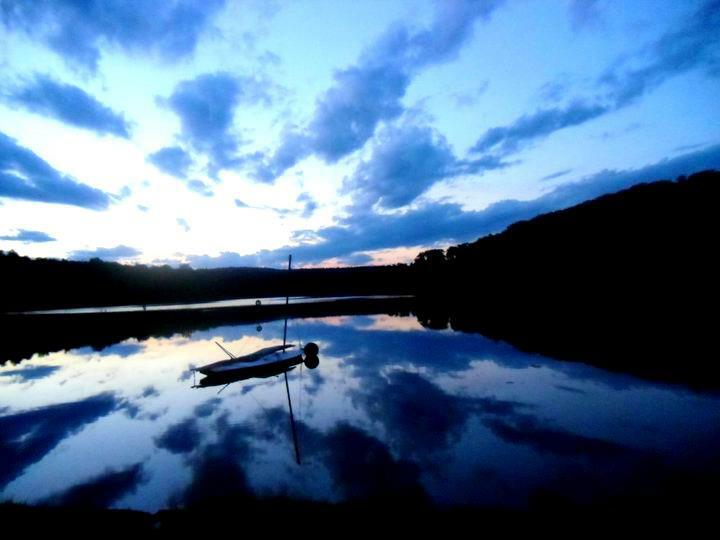 If you think that you have been to a better place in the north east than Camp Jewell, you need to think again. 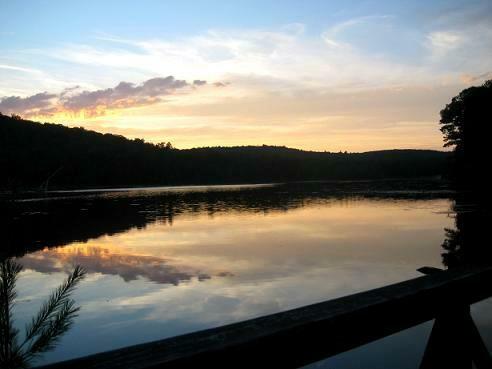 There are year round activities for everyone, gorgeous trails, and awesome cabins. So pack your bags, because you need to go to Camp Jewell! The phrase “I’m bored” doesn’t exist at Camp Jewell! There is always something to do to please you whether it is family camp, a riding weekend, crafts or sports. Take the crafts: there are arts and crafts galore, leather making, and candle making. For sports, there is tennis, whiffle ball, basket ball, fishing, boating, hiking, soccer, gaga, horse back riding, and rock climbing. Family Camp is a blast year round. During the three nights and two days you spend at Camp Jewell, there is a lot to do. You can play sports and do crafts, plus the many customized family camp activities, like the Memorial Day regatta, New Years party, the Columbus Day camp- fire and so many other activities for each camp. I’ve been to all of them and then some (no kidding) and none of them have let me down. What’s a riding weekend? It’s an equine twist on family camp. It keeps the numerous activities and adds in horses! You stay at the ranch cabins, eat at the ranch dining hall, take care of the horses, and ride them either on a lesson or trail. One time I had the privilege of grooming the white drafts, Prince and Doc. As I curried (horse comb) Doc, he nudged me from behind, and when I was done grooming Prince, he let me stroke his nose as a thank you! If you still aren’t interested in any of these things, you are really missing out! If you are planning on coming to Camp Jewell, you need to know how to get around. You’ll love the ideal short cuts, the wondrous hiking paths, and the conveniences for main camp and ranch camp. Imagine you are running to ranch(that’s what Camp Jewell lovers call hide-away-ranch), and you realize, “ I’m late for my riding lesson!” when you come to a split in the road. In this scenario, you need to go right, to the stables. If you just came off the covered bridge, and are approaching the ropes course and need to go to the dining hall at ranch, go left. Do you like hikes? If you feel like taking the 20min walk to Camp Jewell’s tree house, I highly recommend it. The view is spectacular from the near – top of Sunrise Mountain, plus the fun that the tree house provides. It’s only a quick trip on the orange and the yellow trail. Other than the tree house there are many other destinations such as the summit of Sunrise MT, three beaver lodges, and the other side of the lake. Need a break from all this activity, if you don’t mind ghost stories, I suggest you stop by Hitchcock cemetery. Located on the shadowy side of Sunrise MT, the graves are from the 1600S! Besides all the destinations, just simple hiking is fun too. If while at ranch, you want to go carpet ball, gaga, the stables and the dining hall , go to gaga then carpet ball, then the dining hall and last, the stables. If while at main camp, and you want to go to candles, soccer, leather, mini-farm, and boating, go to boating, then candles, then leather then soccer, and last mini farm. You’ll never get lost now! At Camp Jewell, even going to bed is fun! Every cabin is unique at Camp Jewell. First, my favorite cabin of all – Senoir’s lodge aka the Octagon. Being a well- built cabin, the octagon is made up of a large common room, two 30 bunk octagons, and two 4 bunk back rooms. In front is an overhang with a basket-ball hoop and a few stairs and a ramp leading up to the door. Inside the common room, you can light a fire in the fire place. There are three couches and two tables, plus the two specialized card tables. In both the octagons, there are the 30 neatly spaced bunks and a very roomy center. In the back, there are 4 bunks in each and room to put your bags. The slightly newer ranch cabins have the same exclusive design. In front, the common room has 2 couches 2 tables and a shoe bench. Inside, there are 16 bunks, and lots of space for bags. There are eight cabins like this. The first four are connected to a porch with a shoe rack swing, 4 rocking chairs, and 2 pick nick tables. The other four cabins porches have a carpet ball table, numerous benches, and 3 rocking chairs. Like a little scenery? Cabins 1-14, are for you. All these cabins have a fire place, in the common room, 2 couches, 1 table, and a total of 24 bunks. 6 has an overhang, 1,2,7,8 and 9 are in convenient spots, 11, the most beautiful cabin of all, overlooks the waters of Triangle Lake. 10,12,13,and 14 provide a view of Camp Jewell’s forest. I’ll never forget the time I stayed in cabin 2. It was so convenient, we barley had to walk 200ft to any where! I’ll bet that as soon as you get to Camp Jewell the first thing that you’ll want to see is your cabin! Now that you know how to get around, what to do, and what the cabins are like, the only thing you’re missing now is actually experiencing it! So don’t be jealous, join me at Camp Jewell! Fo more details, go to your local YMCA’s website , and search Camp Jewell! 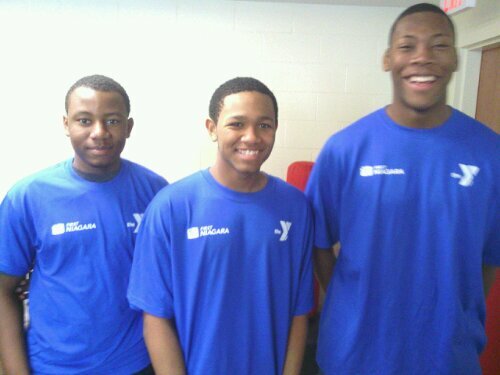 The Wilson-Gray Y.M.C.A wants to give a special thanks to First Niagara. 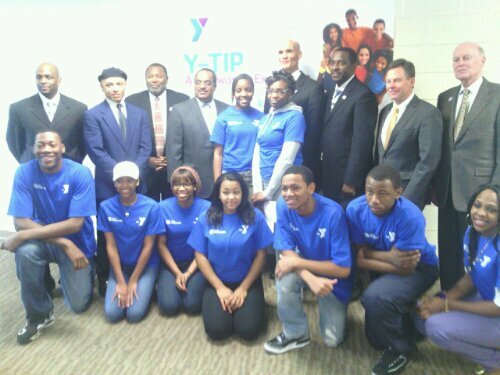 Through the hard work and dedication from Clinton Hamilton and James Morton,our youth are able to receive funds that will implement our Y-TIP program. 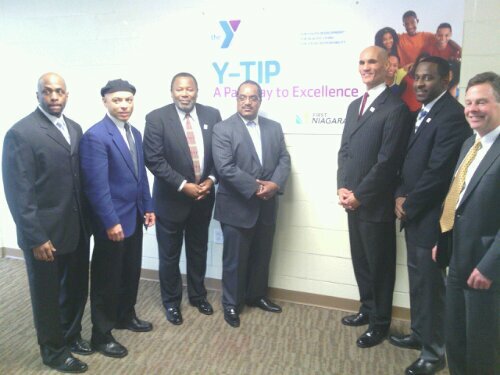 We were awarded a generous amount of 50,000 dollars for the Wilson-Gray Y.M.C.A to provide our services to 40-50 youth starting mid March of 2012. Requirements for participating youth are to maintain there academic grades in good standards, have 90% of attendance in school, 1 hour a week of community service, and participate in 1 hour a week of “self improvement” program or activity. This past Sunday we hosted our Bi-Annual All Staff Meeting here at the East Hartford YMCA. As part of our Healthy Living mission, we served our staff fresh clementine’s, apples, water, granola bars and other healthy snacks. Throughout this week we have offered our Teen Center participants the remainder of our healthy snacks from our meeting. Yesterday a teen participant approached our office staff and asked to try a clementine because he had never eaten one before. It was a shocking realization to us that the children in our community are missing out on fresh produce in their diets. The teen tried, and enjoyed, his clementine! 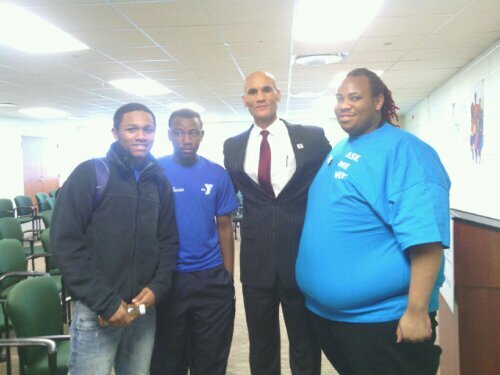 This experience really opened our eyes about the needs of our community and how we can take teachable moments like this one to spread our vision of healthy living and ending childhood obesity. Those 3 words seem rather ordinary- I tell the kids in my programs to do lots of things on a daily basis, and they say OK. But last week, when my little friend C said those words, it meant something to me. It meant that my patience, hard work, and determination to build a relationship with C had paid off. There are marks of our struggles with C all over our classroom: there’s water marks on bulletin board paper from when C splashed water on them, there’s marker on the walls, and calendar, there’s scribbles across old sign-in sheets, there’s still some glitter left on the floor from when she dumped out almost our entire stash, and I have a pair of stretchy pants at home with the faintest outline of her little handprints on the backside. Yes, it’s been an adventure with C in our classroom. C is a lovable and very bright five year old girl who has endured quite a bit in her home life since we met last Spring. She started the year with tantrums, and flying from one activity to another, unable to relax and feel safe with us. I’ve spent countless minutes of every day holding her, telling her she was safe, following her across the school and more than once outside in the rain, praising her efforts and desperately creating opportunities for her to succeed. I was overjoyed when finally C began to meet the goals we set for her. But the difference in C really clicked for me the other day. I asked her to do something, and she yelled “NO!”. In September this would’ve escalated to a full tantrum. I took a deep breath and reminded her we don’t say no to teachers, and next time I ask her to do something, she should just say “OK Miss Kim.” She apologized for yelling at me, and went on with her activity. A few minutes later, I asked her to do something else. She paused- and I held my breath, preparing for her to disrupt our class meeting time yet again- then she looked at me and said “OK Miss Kim” and followed the direction. I was relieved and also in shock. I had already forgotten our conversation, not five minutes earlier, when I gave her this script to follow, but she remembered and she followed through. There was no hitting, no crying, no swearing. It was just this lovable little girl, respecting what I had to say. This moment made all those struggles worth it- and it made me grateful that every time I wanted to give up, I didn’t. C feels safe with me. She finds joy in my program, and she’s developing skills to play with her friends, and interact with her teachers. 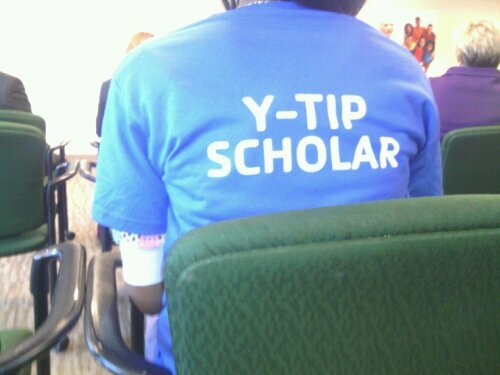 In collaboration with others, work to eliminate the disparities in health and education. The families at the YMCA Larson Center have been very excited and involved in our “homework” practice folders for their children. The students remind their parents every Wednesday that they have new homework and the parents are just as happy as the students are. This past Thursday morning, a parent came up to Miss Krissy and asked her, “Miss Krissy, what have you done with my son?” she continued to go on and say that the night before, her son got home from school and instead of running to the TV after dinner to play his video game, he said, “Mommy, I want to do my homework”. The Mom was so surprised at his response she asked him “Are you sure you want to do your homework instead of play?” and he replied “Yes Mommy, I need to practice my letters for Miss Krissy”. She was so surprised at his display of responsibility, that The Shepard family has since started a routine of completing the practice folder homework every week with their son before he plays his video games. Because of this family involvement and practice, his letter recognition has slowly increased each week!